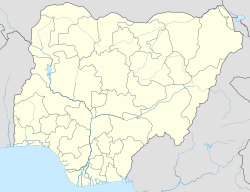 Ife Central (Yoruba: Gbongan Ife) is a Local Government Area in Osun State, Nigeria. Its headquarters are in the city of Ile Ife to the south of the area. It has an area of 111 km² and a population of 167,254 at the 2006 census. The postal code of the area is 220. This page was last edited on 12 December 2017, at 22:37 (UTC).